Nintendo has come up with a winning formula to monetize previously released products by creating miniature replicas of iconic consoles from yesteryear. Now, we’re seeing other companies take a similar approach in hopes of cashing in on our love for nostalgia. 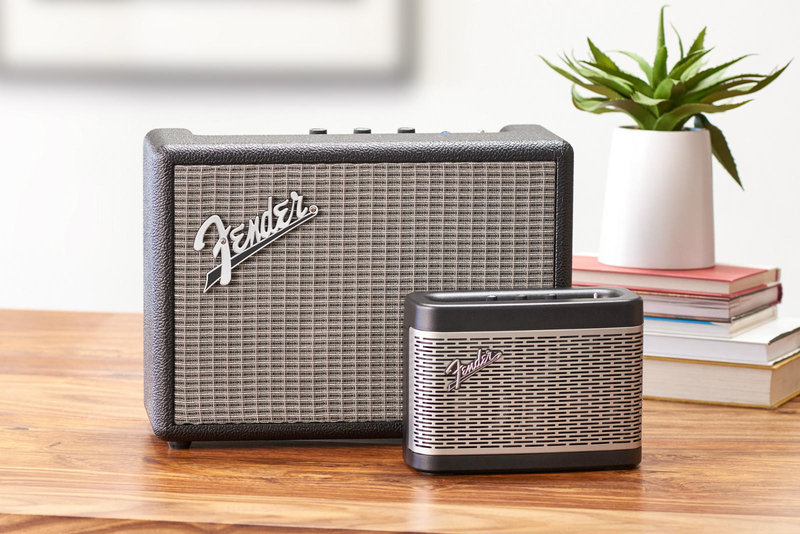 Renowned stringed instrument and amplifier maker Fender has launched two Bluetooth speakers based on the stylings of their iconic amplifiers. The Newport, offered in a black and silver color scheme, is a 30-watt portable speaker with two woofers and a single tweeter. It packs a microphone with echo cancellation so you can use it for voice calls. There’s also a USB port that lets you charge external devices and a 3.5mm headphone jack in the event your audio device of choice doesn’t have Bluetooth. Its lithium ion battery is good for up to 12 hours of listening time (or you can use it to charge a phone twice, we’re told). The Fender Monterey, meanwhile, requires an AC connection but packs a much bigger punch at 120 watts with two woofers and two tweeters. It, too, supports Bluetooth connectivity and has RCA jacks and a 3.5mm jack to connect external equipment. Both speakers are modeled after iconic Fender amps and even have the various control knobs and dials like you’d find on the real deal gear. Pricing is set at $199.99 for the Fender Newport and $349.99 for the larger Monterey speaker. Neither is particularly cheap but if you’re a diehard classic rock fan, the aesthetics alone may be worth the investment.